We are a member owned Club that was founded in 1988. Our piece of paradise is located in Stuart, Florida and is often referred to as “the sailfish capital of the world.” We are on the Manatee Pocket, just minutes from the St. Lucie Inlet and the Intra-Coastal Waterway. 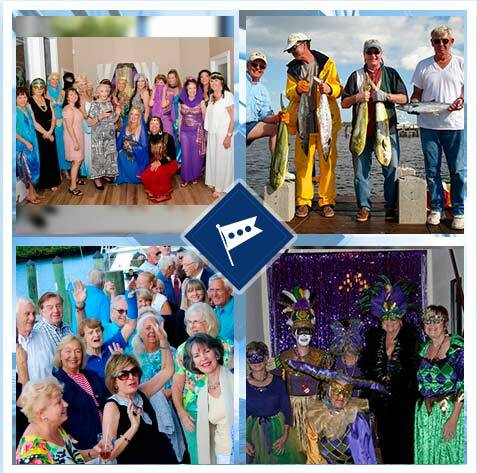 Membership in the Stuart Corinthian Yacht Club comes with the added privilege of reciprocity from many other yacht clubs. SCYC also maintains membership in the Yachting Club of America. All regular members enjoy the benefits of a member-owned and operated private club. These benefits include voting rights, the pleasure of holding office, chairing committees, and the priority use of a boat slip when available at reasonable rates. Members also enjoy discounts from the local marine community. Applicants must be 21 or older to submit an application for membership consideration. There is a one-time initiation fee and dues are paid monthly.